One of springtime’s greatest pleasures is emerging from in-house hibernation after a long winter to take a nice stroll. That peaceful walk becomes even better when spotting a perky pup basking in the sun. Love is in the air — and in this case it’s literal puppy love: people slinging frisbees and tossing twigs to be returned by their faithful four-legged companions. As delightful as watching these interactions may be — the flip side may be the touch o’ jealousy one feels sans a Fido of his own. But, there are plenty of pups out there, waiting to fill that hole. So if you’re dreaming of meeting your new best friend, here are some things to take into account as you look to adopt. Adopting a pet is not so different from getting married (stay with us). It’s a big commitment that’s best made when your personal and professional lives are in proper order. To determine a suitable canine companion, start by researching breeds. Consider factors such as size, personality, trainability and potential as a jogging partner – how do these attributes fit your personal situation? 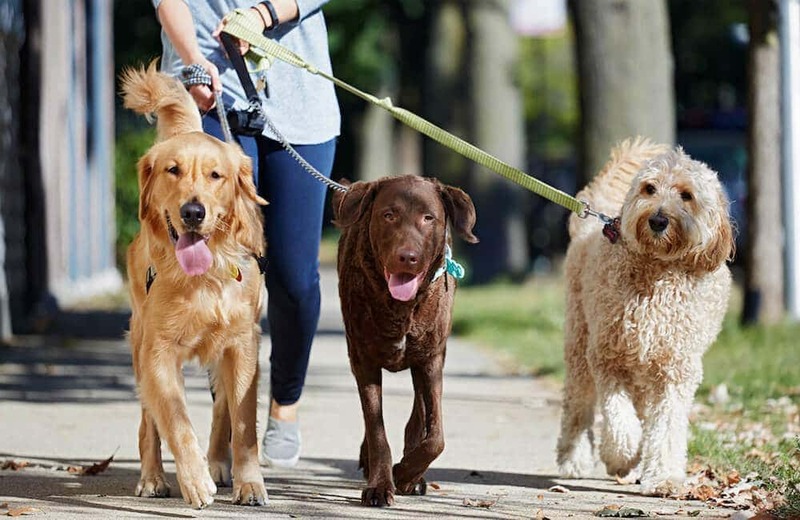 DogTime is a great resource that tells you everything you need to know from each breed, such as how much exercise they need and how much they shed. Just keep in mind that rescue dogs are often mixed-breed, and likely exhibit a combination of characteristics. After all that book-learning, seek out an emotional connection. You can feel more confident you’ve found the dog of your dreams by orchestrating a trial run to see if you two are simpatico. If you have a friend with a dog you admire, offer to pet-sit. There are plenty of apps you can use to walk dogs or volunteer at a local shelter. Perhaps the most realistic simulation of pet-owning is fostering. Rescue groups rely on outside foster homes primarily due to space limitations and the need to properly socialize pets before they’re ready for adoption. By agreeing to foster a pet, you can prepare yourself for the responsibilities of ownership all while doing a good deed. Your research shouldn’t end after deciding on an ideal match. Next, find an appropriate place to adopt. You have the option to visit either a shelter or a breeder, but just know these are two very different approaches. 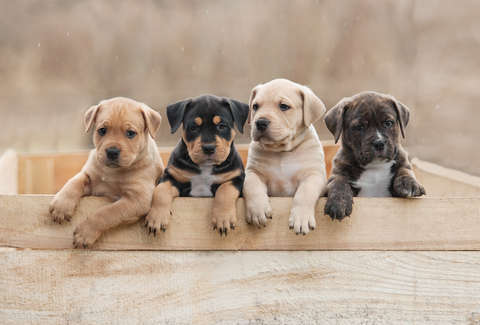 While securing a dog from a breeder will give you the opportunity to influence the pup from the outset, you’ll also have to take on the responsibilities of socialization and vetting—not to mention the hefty financial cost. A shelter, meanwhile, offers dogs who have already been vaccinated and spayed/neutered. Adopting from shelters also grants you the satisfaction of having rescued a dog with uncertain prospects. Weigh the pros and cons as they relate to your personal aims. So you know what dog you want and where you’re getting him/her from. Before the big homecoming, pave the way for a smooth transition by securing the supplies your pet needs to thrive: carrier, leash, bedding, food, toys, etc. Hopefully you’ve already done all the budgetary calculations and know you can afford to keep your dog happy and healthy. 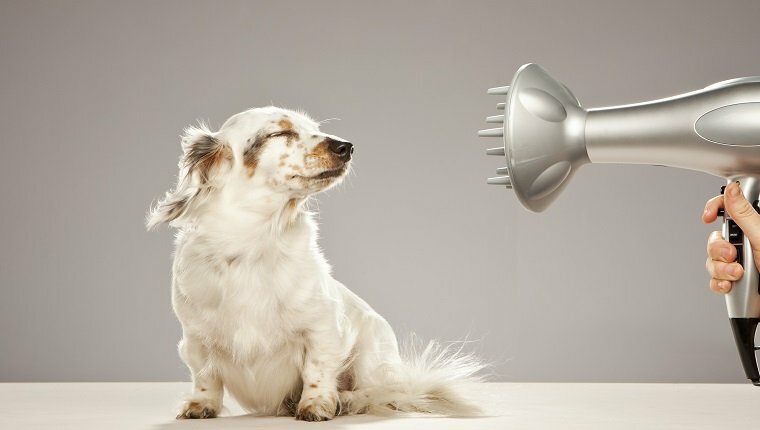 There’s only so much self-grooming a dog can do, so you’ll have to be the pack leader when it comes to pruning and pampering. Your dog’s grooming demands depend on the breed (short hair vs. long hair, for example), but expect to brush, trim, and bathe no matter what. PetFinder has several articles about the ins and outs of dog grooming and even suggests how to make bath-time less of a struggle.